The trailer for Johnny English Strikes Again has arrived. While it was known that the third movie in the Johnny English trilogy was happening, a teaser for the movie, recapping the events of the first two installments, arrived online yesretday somewhat unexpectedly. 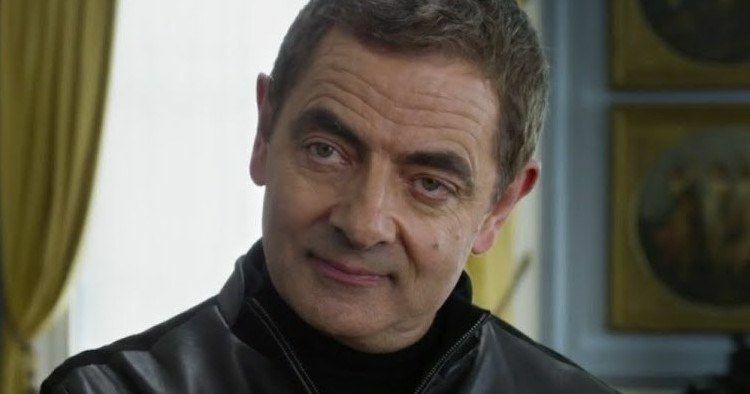 Now, the studio has released the first full-length trailer, which reveals Rowan Atkinson's return as the accidental super spy. Johnny English 3, based on this trailer, looks to be exactly what you would expect. It's full of ham-fisted gags, riffs on the James Bond franchise and lots of gadgets gone wrong. The trailer actually opens up looking like a more serious spy movie. For the briefest of moments, one could actually be fooled into thinking this was a trailer for a more traditional adventure. Quickly, we realize it's Johnny English up to his same old shtick. This time around though, Rowan Atkinson is joined by an actual Bond girl in the form of Olga Kurylenko, who starred alongside Daniel Craig in 2008's Quantum of Solace. Johnny English Strikes Again begins when a cyber-attack reveals the identity of all active undercover agents in Britain, leaving Johnny English as the secret service's last hope. Yes, this does sound similar to the plot of Skyfall and, Neil Purvis and Robert Wade, longtime James Bond franchise writers, have also worked on the Johnny English movies. In any case, the former spy is called out of retirement and dives head first into action with the mission to find the mastermind hacker. This time around, Johnny English must overcome the challenges of modern technology to make this mission a success and leave his analog ways behind him. This installment of the franchise is directed by David Kerr, who has mostly worked in TV up to this point in his career, from a script by William Davies. The cast for the movie also includes Ben Miller, Jake Lacy and, somewhat surprisingly, Oscar-winner Emma Thompson. Johnny English Strikes Again is produced by Tim Bevan, Eric Fellner, and Chris Clark. The movie is set for release on September 20, which is historically not a month associated with high-quality movies, but that doesn't necessarily mean this is going to be awful. Then again, these movies have never been critically-heralded affairs. Johnny English and Johnny English Reborn sit at 33 and 38 percent approval ratings on Rotten Tomatoes respectively. Rowan Atkinson first suited up to send-up 007 in 2003's Johnny English. He returned to the role again eight years later in 2011's Johnny English Reborn. Both movies made a near-identical $160 million at the worldwide box office and, when taking into account their mid-range budgets, that has made them reasonably profitable. As such, we're getting this third installment. It may not be Bond, but it's the best we've got until James Bond 25 actually arrives next year. Be sure to check out the first trailer for Johnny English Strikes Again, courtesy of the Universal Pictures YouTube channel, for yourself below.